At a fast paced VIVID Sydney event, ten 2014 Banksia Awards winners expressed their vision of sustainability. “What we want to do is inspire the conversation from large corporates down to community groups,” said Banksia CEO Graz van Egmond. Amongst innovators from Tasmania Land Conservancy, Garage Sale Trail, KFC and Australia Post, Stephanie Camarena from sustainability consultancy Factor Ten had just four minutes to share the story of her work with Earthco Projects, at “Flicking the Switch on Sustainability”. Camarena addressed the crowd with architect William McDonough’s design brief for a tree. “Design something that makes oxygen, sequesters carbon, fixes nitrogen, distills water, makes complex sugars and foods, changes colours with the seasons, and self-replicates,” she quoted. “This is the kind of thinking we used when we met with Earthco Projects,” Camarena said. 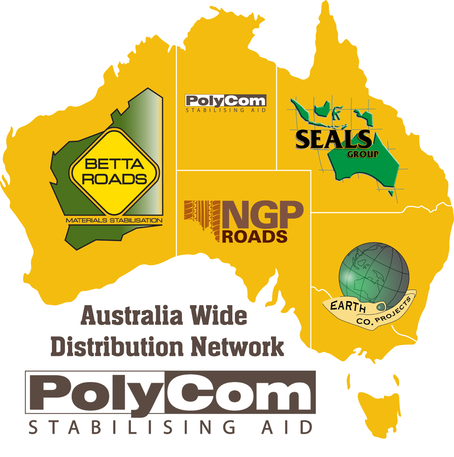 Winner of the 2014 Product Sustainability Award, the distributor for PolyCom Stabilising Aid in NSW, Victoria and Tasmania, Earthco Projects addresses the problem of sourcing finite quarry materials and gravel resources to maintain unsealed roads, with the sophisticated yet simple solution. Conducting a field test comparing PolyCom treated roads with the conventional method of re-sheeting, Camarena’s research reveals savings of 90% in the carbon footprint, 80% in water usage and 70% of the budget when PolyCom is applied to an unsealed road. PolyCom enables road makers to build roads that require up to six times less maintenance with the materials at hand. 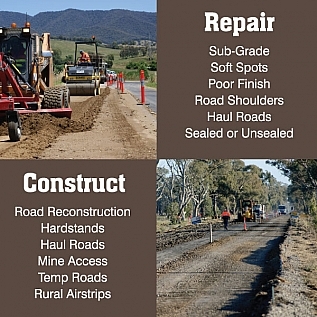 Councils across Australia are embracing the field-proven road maintenance alternative that offers considerable savings on road construction and maintenance, and lowers their carbon footprint. Founded by the Banksia Foundation in 1989, the 2015 Banksia Awards are now open. Entries are encouraged from government, corporations, business, community, organisations, individuals, research institutions and Australian product manufacturers.